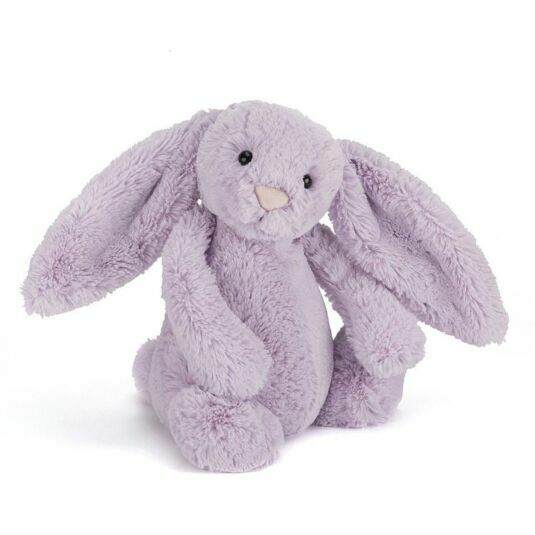 As pretty as the flower she is named after, Hyacinth Bunny will listen to bedtime stories with your little one and join in games at playtime. She has beautifully soft lilac coloured plush fur, a cute pink nose and is the perfect cuddle companion, whether its a snooze on the sofa or at night time in bed. This Bashful small bunny also has a few plastic beans in her bottom, meaning she can sit up on her own and watch over your child at night.